December 2017 | It`s full of stars! By default, the file can grow to a size of 64 GB. When you first start Docker, the size of this image is around 1.4GB. Adding containers, image, etc and it will grow to 64GB. At least with my Dockerfile for SAP NetWeaver ABAP Developer Edition Docker is not increasing the image file dynamically. Because of this I had to split the automatic installation process in two parts: base image setup and installation. I guess that right now the SAP Installation is filling up space faster than Docker can react. 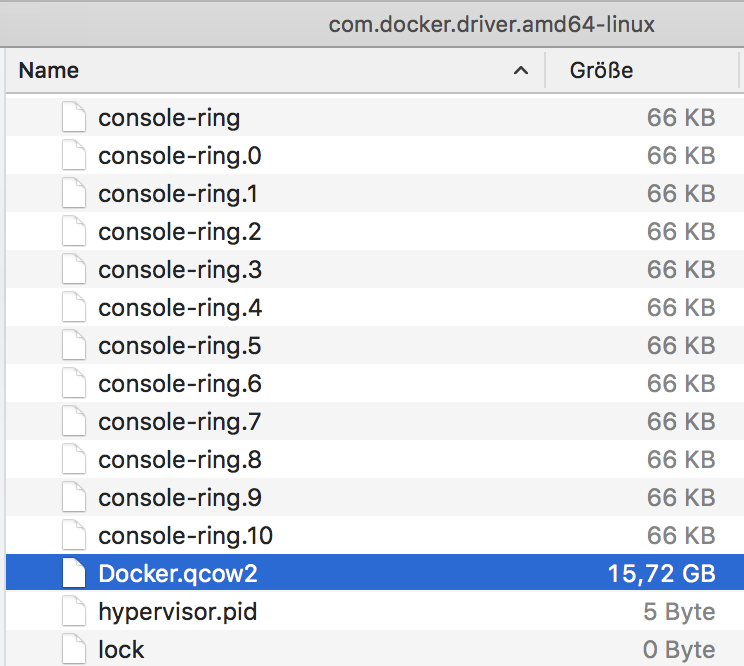 The Docker.qcow2 file is a VM disk. Therefore, it is possible to manipulate it like any other virtual disk: you can increase the disk size and access files within the VM disk when you mount the image in a VM. An easy solution to change the disk size Docker has available to store images and containers is to increase the disk size. This can be done by using Qemu and GParted. Click on open in finder. Finder opens at the specified location. Make a backup of the Docker.qcow2 file. 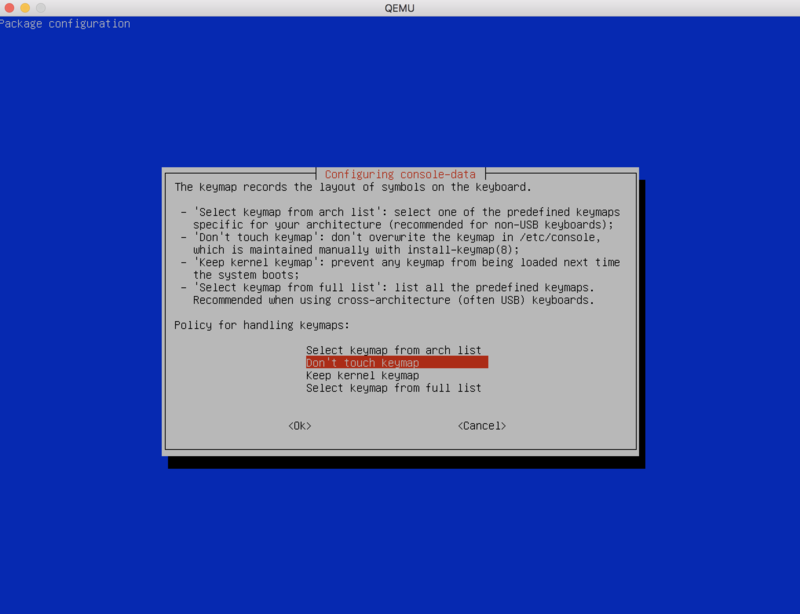 To install qemu, use brew on Mac. Now Qemu should be installed. 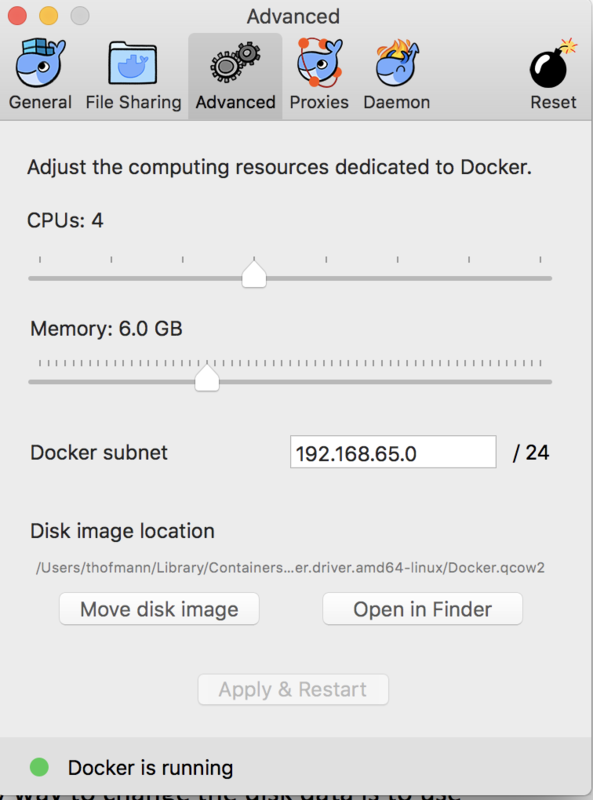 Resizing the Docker.qcow2 file to a new size consists of two steps. First, let’s make the disk larger. SAP can occupy some space, make sure you add enough GB to the image. An additional 100 GB should do it. Output is a simple status message. To resize the image, start Qemu, use the GParted ISO image as boot file and mount the Docker.qcow2 disk. I got some error messages, but Qemu started. Starting the virtual machine will take some time. Be patient. Next you’ll have to configure the GParted ISO image. The default values should be enough. This gives you a keyboard, mouse, English and X. After that, Gparted is started and you should see the Docker.qcow2 disk in the Gparted app. Select the disk and click on Resize / Move. In the new size (MiB) field, enter the new size of the disk you need. The disk size is allocated dynamically and won’t occupy immediately space on your physical disk. So don’t be shy. Assign all free space to the partition. Last chance to stop. But as you need the new free space for Docker, click again on Apply. The partition will be resized. In case something goes wrong, please restore the backup of the Docker.qcow2 file you made previously. After the operation finishes, you can see that the partition is now offering 164GB. Shutdown the VM. As the Docker.cqow2 file changed was the original one used by Docker, you have only to restart Docker to benefit from the new image size. Now you can use Docker to run SAP NetWeaver ABAP with just one command. As the Docker.qcow2 file is empty, even when the image size is reported as 4 GB, compressed (zipped) it’s just a few MB. With the new Docker disk file you can even start SAP NetWeaver ABAP without getting the “no space left on device” message. Image creation works. The space occupied by just the SAP NetWeaver ABAP image is already at 65 GB. 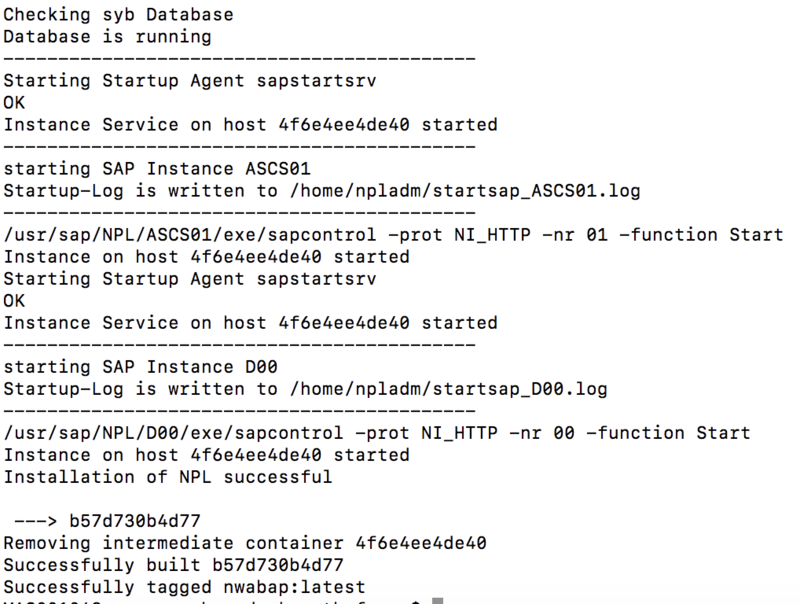 When you log in to your container and run startsap, the program will fail. It will report that no instance profiles were found. Take a look at the available profiles. During the installation, the installation script installed the profile files for the container with the dummy name 4f65[…], after starting the container, we specified a specific host name: vhcalnplci. Of course, these do not match and make sapstart fail. Let’s adjust the instance profile configuration. Now run again sapstart and it should work. If not, stop and start the container and try again.